B.C. is home to a community of talented wildlife photographers. That much is evident from a contest for which the B.C. SPCA named its winners on Friday. 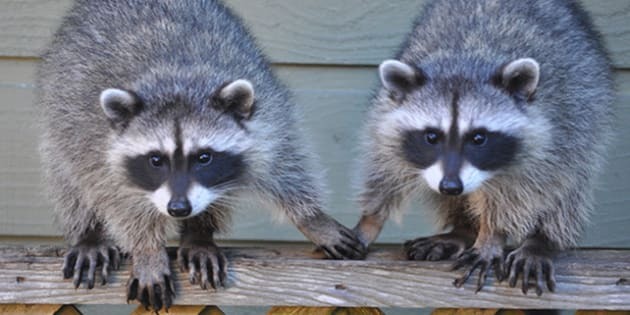 The Wildlife-In-Focus Photography Contest, a fundraiser for the SPCA's Wild Animal Rehabilitation Centre, asked British Columbians to submit photos of nature in two categories: Backyard Habitats or Wild Settings. Laurie Schretlen of Kelowna took first place in the Backyard Habitats category with her photo of bluebirds resting around a birdbath, while Delta's Veronica Caron took second place with a picture of a mouse that looks to be peeking out of a pipe. The first place prize in the Wild Settings category went to Coquitlam's Norman Ng, who submitted a photo of three exotic-looking birds gathered on a branch. Second prize went to West Vancouver's Alice Sun, whose picture showed a bird feeding its young. First prize photos will be featured in the spring/summer issue of the SPCA's AnimalSense magazine, while the top three in each category receive a prize that may include a handbag from Astrosatchel, a new camera from Broadway Camera and subscriptions to Canadian Geographic or Canadian Art Magazine. The contest named its winners just weeks after Burnaby's Connor Stefanison became the first North American to win the Eric Hostking Portfolio Award, which recognizes the best wildlife photographers between the ages of 18 and 26.